Made from durable, high-strength plastic that will never rust, deteriorate or require painting. 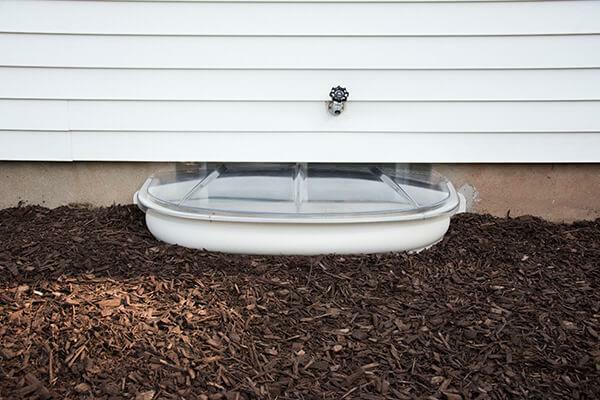 The solid base keeps the well clean and prevents weeds from growing on the window well floor. The well’s light color and curved form direct sunlight into your basement. 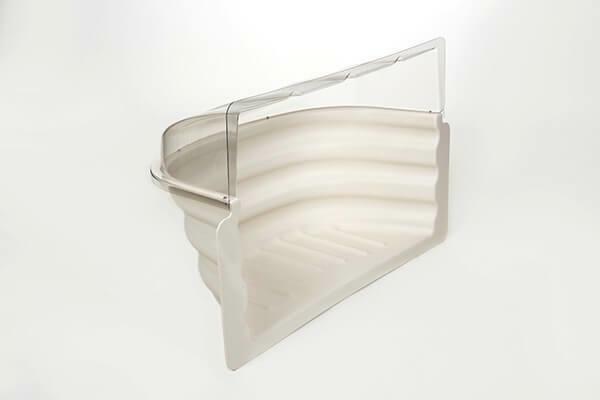 SunHouse™ window wells can be ordered with a clear plastic cover that keeps out pests, rain, snow and debris. Beauty & the Beast. Old-fashioned steel window wells don’t last as long or look as good as SunHouse™ Window Wells. Basement windows have a tough job. 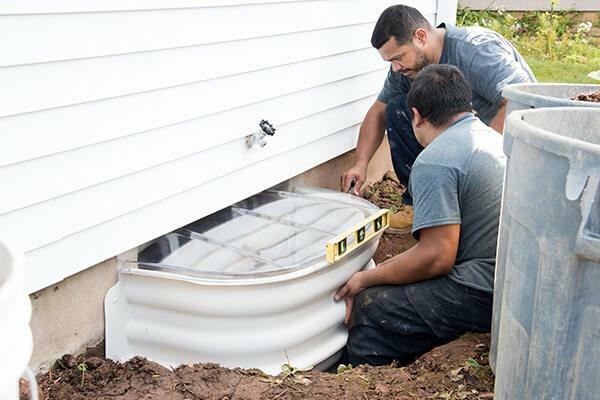 They’re usually located below ground level, in a recessed “well” that can easily accumulate dirt, debris, water, pests and even plants that take root in the well’s dirt floor. 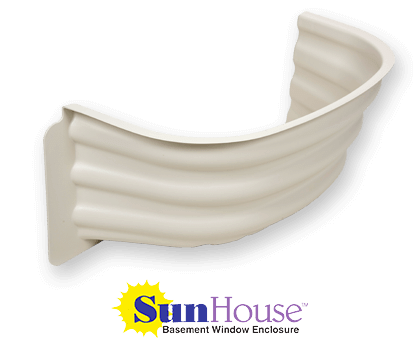 SunHouse® window wells from Basement Systems are designed to transform dark, dirty and deteriorated window wells into clean, bright spaces that bring loads more light into your basement. Window wells made from corrugated steel or landscape ties are certain to be dirty and deteriorated. When you upgrade to SunHouse™ window wells, you get a bright, maintenance-free window well that’s just about indestructible. 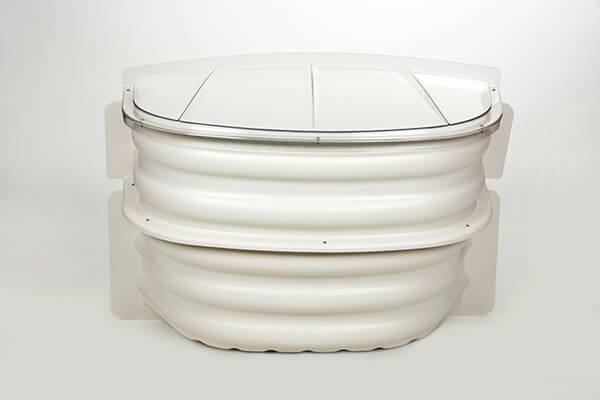 It’s made from reinforced plastic that will never rust, rot or require painting. Unlike other window wells, the SunHouse™ well includes a vinyl floor that will keep out dirt, moisture and pests. 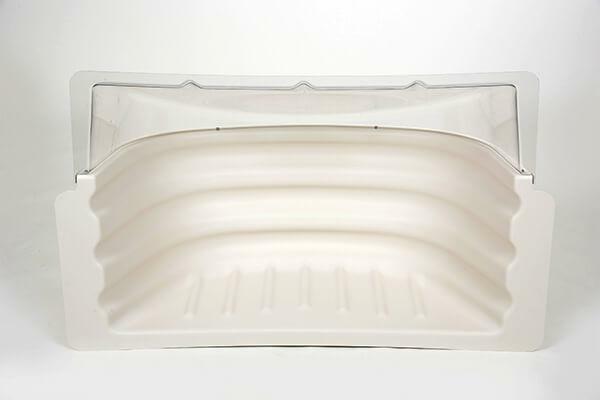 With the optional clear plastic cover, you can also keep basement window wells free of snow, rain, leaves, grass clippings and other debris. Pests won’t be a problem, either. Many homeowners choose to replace old basement windows at the same time they have new SunHouse™ window wells installed. This combination will really transform the interior and exterior of your home. Our EverLast™ window inserts and EverLast™ basement windows are perfect companions for SunHouse™ window wells. Looking for pricing on basement window wells? The SunHouse™ basement window enclosure is only available from a certified installer in your area. Contact Basement Systems today to request a consultation and get a free cost estimate on basement window well installation or any of our other basement window solutions.